He also sees no conflict between a rise in gold and a rising stock market unlike many of the gold crowd. 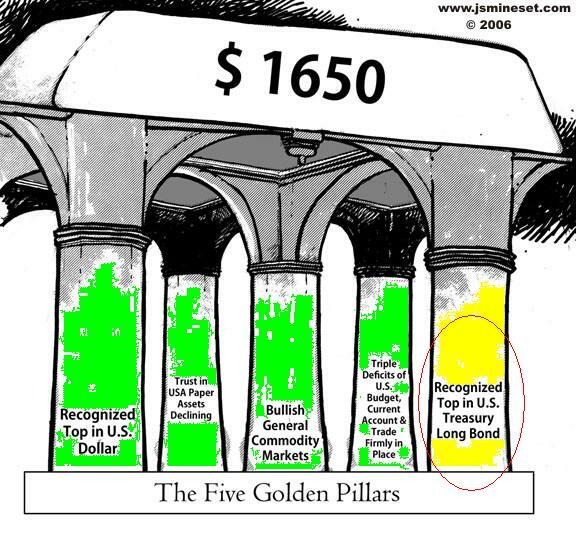 Jim Sinclair often seen by some as an 'arch-gold bug' has made the same point seeing stocks and gold as real assets during a monetary inflation. Rising gold + rising stocks = Rising gold Stocks ? A confirmed breakout in the Venture (see earlier post) could suggest yes. 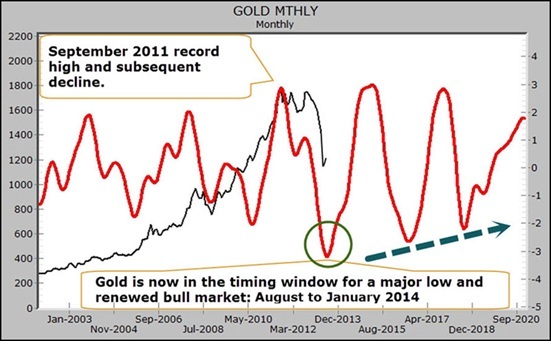 Also some interesting charts suggesting a renewed gold bull from Jason Hamlin. 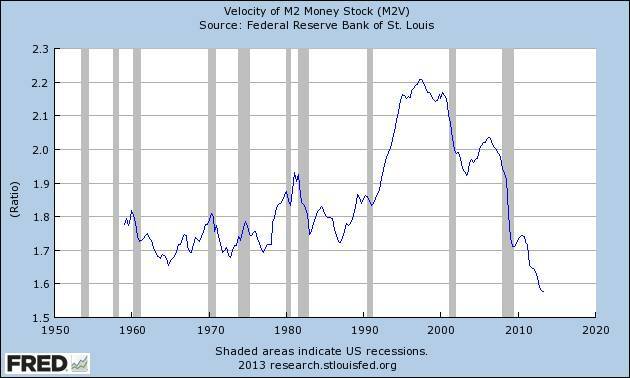 Many are around the debt growth concerns of the gold bugs but I find the extremes on the monetary velocity chart interesting. Also a recent call for the Dow to top 30,000 for all the reasons bears cite as reasons for it to crash is interesting and fits with a view that sees gold's major bull arriving with a clear top in the bond market and rising nominal interest rates seeing flows into real assets, which would include stocks and gold, until real interest rates see diminishing business profitability. I don't know how Edelson's monthly and weekly cycles are arrived at, but they have given interesting signals for some time.